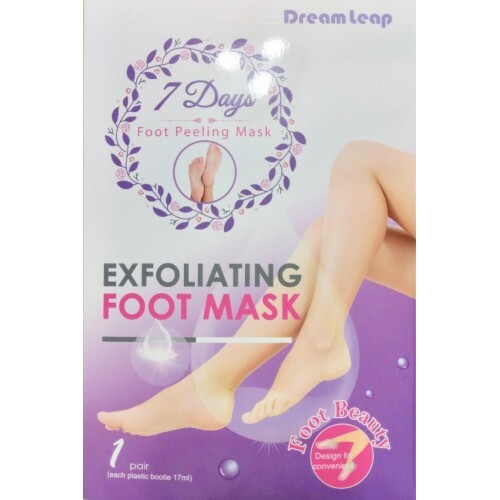 GET SOFT FEET JUST ONLY 7 DAYS - Using a foot mask is one of the best cosmetic methods that removes dead skin cells, moisturizing, calluses, corns, and more. After the peeling procedure, your feet will again be just like a baby’s. The exfoliator is suitable for both women and men. SPA EXPERIENCE - Best Home Spa Foot Peel Mask. The procedure can be performed at home to foot care at any time. It is much easier, more comfortable, and more economical than visiting JAPANESE SPA centers and Salon.This is safe and can be more effective than mechanical solutions, such as using a foot file, scrapers, or pumice. TREATMENT EFFECT - Only 7 Days,you can get rid of edema, microcracks, fungi, inflammation, irritations, and excessive sweating of the feet. The skin becomes soft and free from any roughness.Dead skin cells will magic start to peel between 3 - 7 days after your initial application. And you will get soft feel like baby. NATURAL - Our foot callus remover gel includes healthy ingredients from extracts of herbs and fruit acids, which trigger natural regeneration, fully eliminating coarse skin. All components are completely safe.BEST GIFT CHOICE - The best foot peel mask is great to share with your family and friends for them to enjoy a baby like soft touch. 100% SATISFACTION GUARANTEED - If you have any problems or questions, please contact us. We hope you will be satisfied. We provide a quality product along with 100% money back. The foot mask Taiwan professional manufacturer.